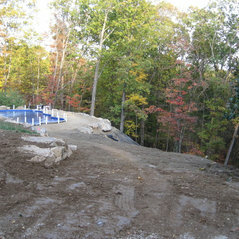 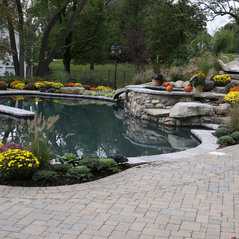 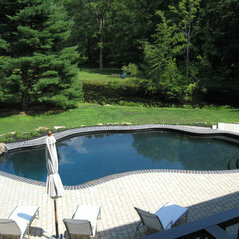 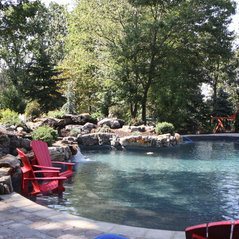 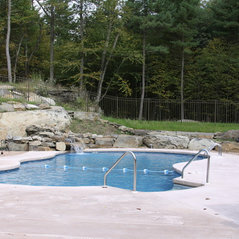 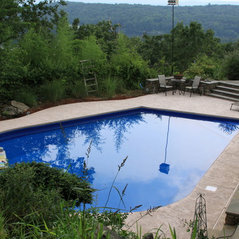 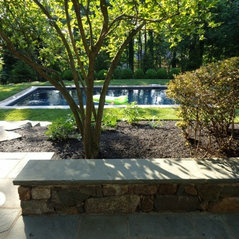 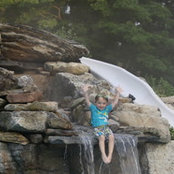 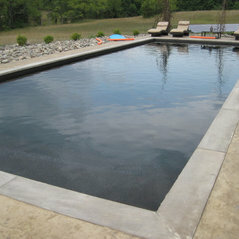 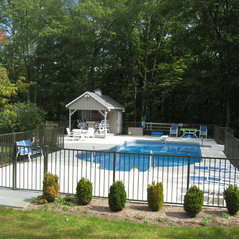 A commenté : Where can I buy the slide?This is a custom slide Contemporary Pools designed and installed. 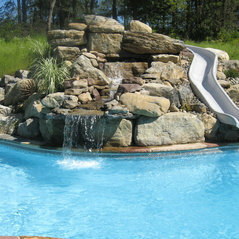 This slide was manufactured by Inter-Fab. 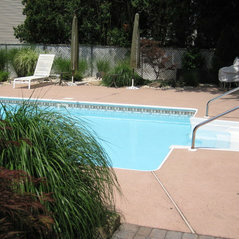 If you have ant question, please contact us at 973-459-1354. 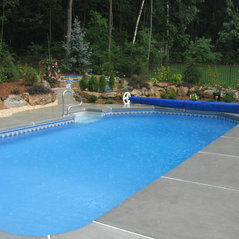 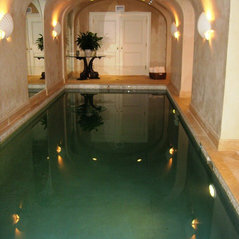 A commenté : Lazy river poolriver is about 800 sq, about 8' -7' wide and the length is app. 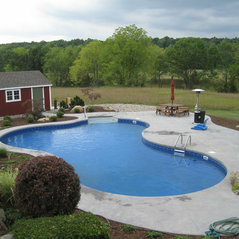 50' to 60'. 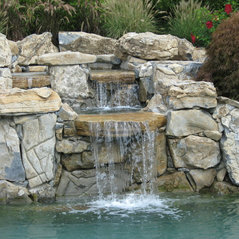 A commenté : Liner name?It is Lime stone, we cut and chip the stone in the field.